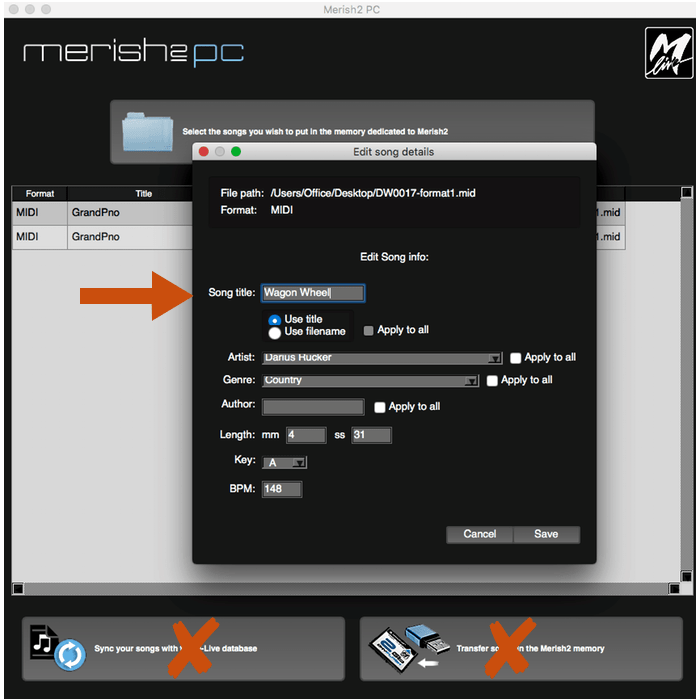 If your MIDI Files and MP3 backing tracks do not display song title on a playback device, this tutorial will show you how to add song title, artist name and other Meta data to a MIDI File and MP3 backing track with Merish2PC. Using this software/app, the playback device will show title, artist, BPM and song length. Note, this software does not 'rename' a file name - this is easily done in Finder or a Window by right clicking and selecting RENAME. 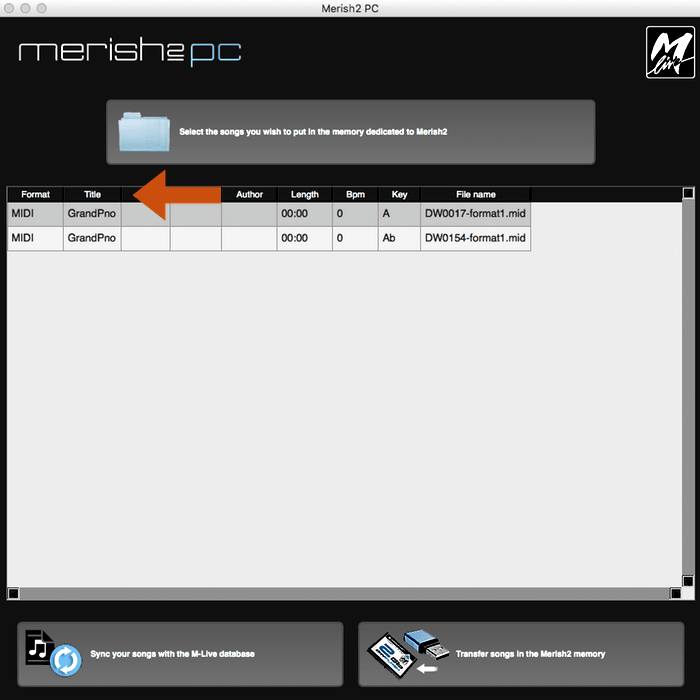 To begin, download and install Merish2PC using the links below. MAC and Windows versions available. Click on the desired version to download and setup. Click the 'Select Songs ..' button to locate MIDI Files and MP3 Files you want to edit. Select the MIDI Files and MP3 Files you want to edit. Re size column widths by dragging column bar to the right or left. Double click a title to view and edit Meta data. Enter song title. If you wish, add artist name and other available fields. On completion, click SAVE or Cancel to exit without saving. Close the program to exit. IMPORTANT ! Do not use the Sync and Transfer options at the foot of the screen. These options will rename long file names down to 8 characters and is not recommended.